Updated January 4, 2017: If you want the Zenfone 3 Deluxe, here is one of your only chances. NCIX has 8 left in stock. These weren’t even supposed to be coming to Canada, but surprise! Check it out at NCIX here. Right now the Zenfone 3 (ZE552KL) has seen a nice price drop. Now available for $389 at NCIX here. Just $269 for the Zenfone 3 Laser if you are looking to pay less for a new phone. Updated September 29, 2016: Big news folks! You can now buy a Zenfone 3 from NCIX. You can check out their Zenfone 3 listings here. The current model is the ZE552KL (5.5-inch) and comes in Dark Blue or White colors with 4GB RAM with 64GB storage. There is limited stock so if you’re interested, I recommend you shop and decide right away. This is breaking news, so take advantage of being first! There will be more retailers in Canada, but the Zenfone 3 will not be widely available during the initial launch. Want to pre order Zenfone 3 Deluxe? Here is your first chance in Canada! NCIX is offering a reduced price of $419 right now (regular price is $429) as well as 839 NCIX Rewards plus a free accessory worth $13. Check the deal out on NCIX here. You can also shop for a Zenfone 3 (ZE552KL) right now at Newegg.ca. They have a special deal running right now. Get a free ADATA 10400 mAh Power Bank w/ purchase. Click here To Shop! Will the Zenfone 3 work with Wind Mobile? Yes. If you’re buying a Zenfone 3 from a Canadian or US retailer who is selling the North American version of the phone, then it will work on Wind Mobile. I verified this with the product manager at NCIX. (also thanks to Tom for notifying us his findings as well). On occasion you might see an international version of the Zenfone 3 being sold by third party sellers on websites like Amazon.ca, so be aware that those models will likely NOT be compatible with Wind Mobile. Bottom line? If you’re buying from a local Canadian retailer or US based retailer, it will work on Wind Mobile network. What Zenfone 3 models are coming and what price will they be? Is $429 CAD a lot to pay for an unlocked smartphone? Let’s compare the Zenfone 3 (ZE552KL) to the unlocked Google Nexus 5X smartphone. The Google Nexus 5X costs $499 but it only has 32GB storage (Zenfone 3 has 64GB) and 2GB of RAM (Zenfone 3 has 4GB RAM). In addition to that, the Zenfone 3 (ZE552KL) has a faster processor, better GPU, storage is expandable via a microSD card slot (which the Nexus 5X does not have) and the Zenfone 3 is a much slimmer design. Zenfone 3 (ZE552KL / ZE520KL) – Zenfone 3 Deluxe (ZS570KL) – Zenfone 3 Ultra (ZU680KL) – Images! Will the Zenfone 3 work with Wind Mobile? Yes. Will the Zenfone 3 work with 7-11 Speakout? Yes. Will the Zenfone 3 work with Koodo? Yes. Will the Zenfone 3 work with Fido? Yes. In fact, yes, yes and yes. As an unlocked phone, specific to the North American networks, the Zenfone 3 will work on all the available Canadian wireless networks. So if you use Rogers, Telus, Bell, PC Mobile, etc, you will be happy. 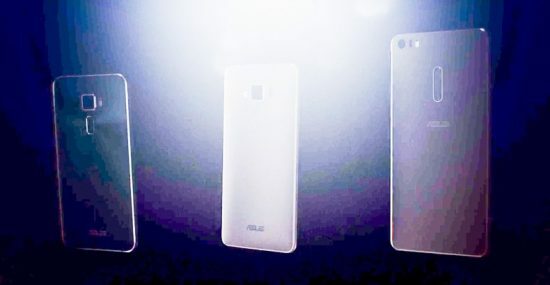 New Asus Computex 2016 teaser confirms leaked Zenfone 3 Deluxe image: Red Dot didn’t do Asus any favors by posting some Zenfone 3 images a while back. They did post and call one of the images a Zenfone 3 Deluxe. 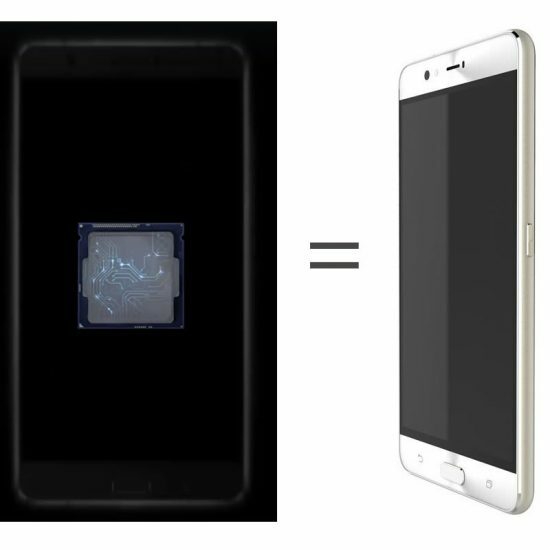 We made an image which compares what we see in the new teaser GIF vs. the Zenfone 3 Deluxe (ZE552ML) image. Do you agree that these are the same phone? Here is a screenshot from the first Asus Computex 2016 trailer. A bit better clarity we would suggest. If you’ve watched the Zenfone 3 teaser put out recently by Asus, you realize that they are really boasting some incredible photo taking and video shooting camera abilities. Cameras on phones is really becoming a big deal and it’s entirely possible that Asus is going to trump the competition. We’ve read a rumor that Asus is going to be using Sony sensors. There has been a recent article about the latest Sony sensor and how it may show up in smartphones as early as May. Well, time wise it works closely to what Asus is doing. This Sony lens, the IMX318 would in theory out perform the lens found in the newest Samsung Galaxy S7 flagship phones which have the Sony IMX260. All in all, this sensor means some pretty cutting edge camera technology and up to 23MP (22.5MP) images. We’ve seen benchmarks of an impressive Zenfone 3 that had the 23MP rear camera, so it’s possible this sensor will be a Zenfone 3 Deluxe spec, but it’s a bit early to say for sure. Have the first real official look at the Zenfone 3 Series via a new teaser video! It does appear that we are correct about the existence of a Zenfone 3 Ultra. So far we can’t explain the gigantic phone/tablet/phablet that is shown in the video. Some say it’s the Zenfone 3 Max, but how can a big screen device be the longest lasting battery life phone of the series? It seems illogical to us. So the biggie is either the Zenfone 3 Deluxe or it’s the Zenfone 3 Ultra which we discussed in another post. We also believe that there will be a 5.2-inch Zenfone 3 (ZE520KL) and 5.2-inch Zenfone Max (ZC520TL) which is contrary to a lot of misinformation that you may have read about. The Zenfone 3 (ZE552KL), Zenfone 3 Deluxe (ZE552ML), and Zenfone 3 Max (ZC551KL/ZC552KL) are going to be shipping in six countries by August. There is going to be a Zenfone 3 Max and a Zenfone 3 Deluxe which all should be announced together during the May 30th Asus presentation at Computex 2016. Asus release dates for the Zenfone 3 (ZE552KL), Zenfone 3 Deluxe (ZE552ML) and Zenfone 3 Max (ZC551KL/ZC552KL) is as follows: early to mid July Taiwan launch, end July launch in South East Asia, then world wide launch mid August. We expect US and Canada pre orders to start in July. The Zenfone 3 models will be powered by Qualcomm Snapdragon processors (90% of the line-up) and the rest will be powered by MediaTek (10% of the line-up). Asus has said that people who have used the Zenfone 3 have provided very positive feedback. Asus suggests the Zenfone 3 (ZE552KL) will have “groundbreaking design”. What does that mean? Hard to say at this point. Here is the biggie though. The Zenfone 3 Max is expected to account for 2/3 of total Zenfone 3 sales. Asus must really have something special in the works for the next Max phone. Price wise, Asus is targeting the mid-range market ($260 US to $307 US) but should have something in the $300+ US price range. Asus is saying that the Zenfone 3 Max will be their cheapest phone, followed by the Zenfone 3 which will be about $100 US more expensive than the Max, and then the top end Zenfone 3 Deluxe. Now is the time to start talking about the new Zenfone coming from Asus. Last year, the Zenfone 2 hit a great price point and was a success for Asus. A few details of the Zenfone 3 have leaked in the previous months, but at Computex 2016 in late May, we’re going to see the Zenfone 3 unveiled. There are going to be a few different versions so we want to make it simple for you when the time comes. Release date for the Zenfone 3 in Canada should be sometime in late June or early July. Expect pre orders to start sometime in June. Price is going to be cheaper than the competition because good prices is something that Asus puts a priority on. Stay tuned as we prepare full details. Will the Zenfone 3 work with Wind Mobile? We are going to say yes. We haven’t seen any official specs, but since the Zenfone 2 was compatible with Wind Mobile, then the Zenfone 3 will follow. 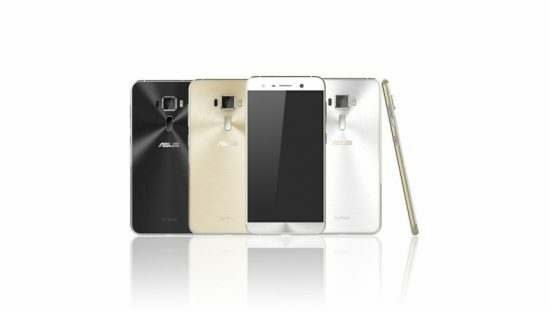 Zenfone 3 Ultra (ZU680KL), Zenfone 3, Zenfone 3 Deluxe and other models may be available. There were a number of Zenfone 2 models released so it will be interesting to see if Asus keeps the offering more limited at first launch or whether they come to market with various models right away. 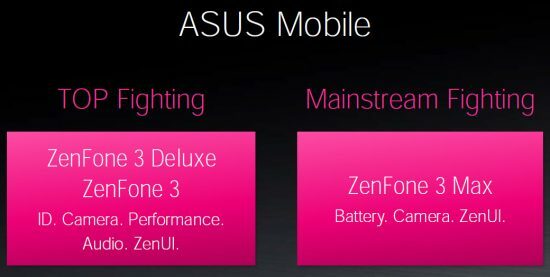 Asus Padfone is now Zenfone Deluxe? Hey guys! Thanks for the helpful Zenfone posts. I was just wondering if there are any updates regarding release dates in Canada. Called Memory Express & Canada Computers (carriers of Zenfone 2) but they had no info at all. Looking forward to getting my hands on one when it comes out. Sorry for the bother! Sorry your comment got caught up in spam filter and was missed until now. Thanks for visiting and I hope you had some luck with the Zenfone 3. Can I use my Chatr chip for my phone? Is it compatible? Hi thanks for visiting. Yes, 100% it will work on Chatr. Any news on the release date? It’s now Oct and nothing yet.